We are updating content based on the current Child & Family Services Review. We will send out announcements for the new date. We are sorry for any inconvenience caused by this change. This course is based upon the American Bar Association publication, “Child Safety: A Guide for Judges and Attorneys” (Guide), written by Therese Roe Lund, MSSW, National Resource Center for Child Protective Services and Jennifer Renne, JD, National Resource Center on Legal and Judicial Issues. A quote from the Introduction of the Guide summarizes both its purpose and the purpose of this course. “Safety planning in the child welfare system is a shared responsibility, but ultimately the court must make critical safety decisions such as whether to remove a child and when to return a child home. Judges rules on these choices every day, but often lack a decision-making structure, which can lead to following agency recommendations without a thorough inquiry. This can lead to an over-removal problem, rubber-stamping agency recommendations without knowing what’s driving the safety decision; or an under-removal problem, leaving children in unsafe conditions, or returning them home prematurely. Understand that the Guide is not a new model. Understand the purpose of DCFS’ implementation of Advanced Safety Focused Practice. Define safe and unsafe child. Define threat of danger and risk and distinguish between the two. Define child vulnerability and protective capacity and understand the relationship between the two. Articulate why information drives decisions about safety. Understand what type of information is gathered in DCFS’s six areas of assessment and why the information is important to safety decision making. Understand their role in safety decision making. 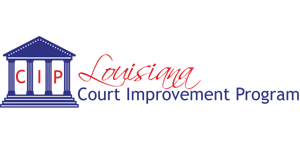 Approved for 6 hours of CLE general hours including 1 hour of professionalism by the Louisiana Supreme Court MCLE Committee. This program was approved for 6 general CEU contact hours of continuing education units by the National Association of Social Workers - Louisiana Chapter as authorized by the Louisiana State Board of Social Work Examiners. LA DCFS Staff members may attend without payment in advance. Contact your supervisor for authorization. DCFS Training office will submit approved list.